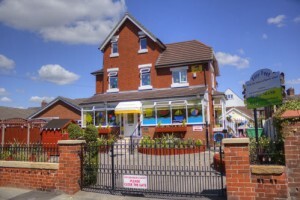 Family Owned, Tiny Feet Day Nursery was established in 1987. We are situated in a charming detached residence of character within its own grounds close to Urmston Town Centre. 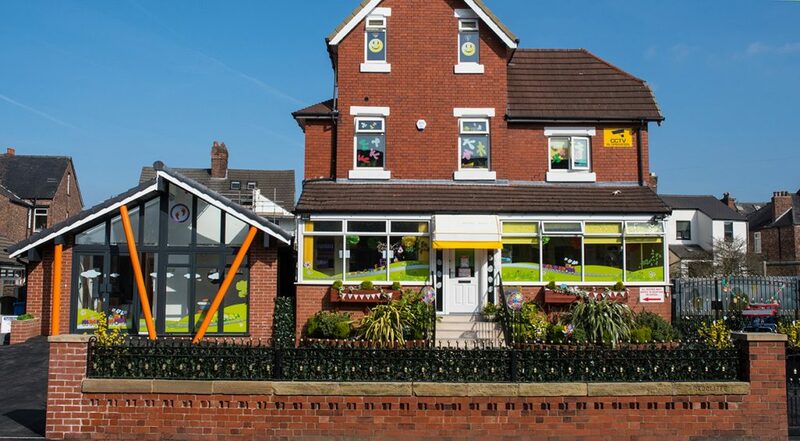 It is close to the Motorway network, Manchester City Centre, Urmston Train Station, Trafford Park, Trafford General Hospital and The Trafford Centre. 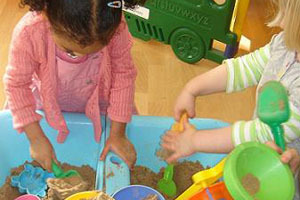 Tiny Feet is regulated and inspected under the Children’s Act by OFSTED and our practices and procedures are in accordance with the EYFS. 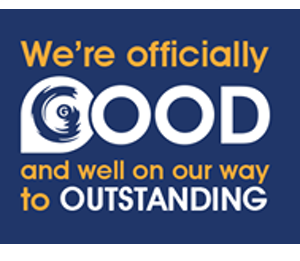 To view our latest OFSTED inspection report please click here. 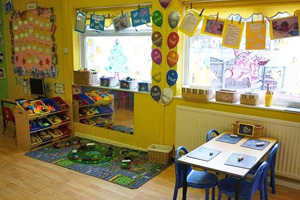 Our nursery is great way to develop every individual child’s social interaction skills and will help your child to share, have good communication skills and develop good self confidence. Our aim at Tiny Feet is to make sure every child is happy and content and to encourage all children to make choices. 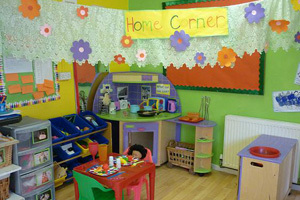 We aim to provide a ‘Home from Home’ environment specifically designed for enjoyment and the development of young children. Each day the Nursery is organized and planned to give each child the best learning opportunities possible, ensuring we meet every child’s individual social, emotional and physical needs. We choose all our staff at Tiny Feet very carefully. 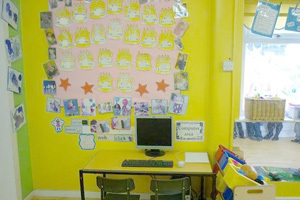 We have at least one qualified key leader in each room and a nursery assistant . 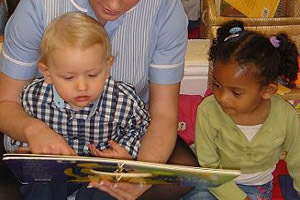 Every staff member at Tiny Feet is chosen for their knowledge, ability, enthusiasm and empathy. Each staff member has a valid first aid certificate and has an up to date DBS check. 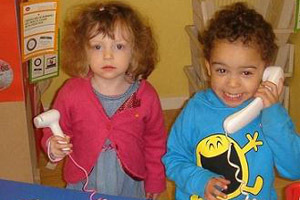 All staff members regularly attend training and courses set by Trafford’s Sure Start. These courses continously help all our staff to further their knowledge. Displayed in the Entrance Hall is a photograph of each member of staff with their names, what room they work in and their roles. 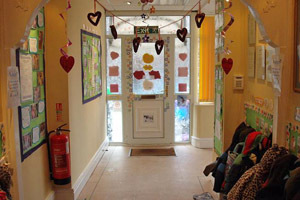 There is also a file in the Entrance Hall and displayed within it are our staffs qualifications, training, certificates etc. 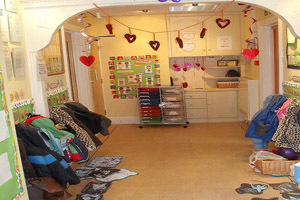 The main members of staff have worked at Tiny Feet for over 8 years. 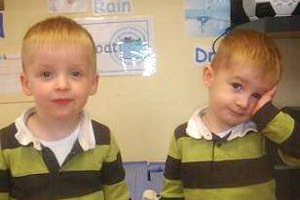 The Nursery Manager has worked at Tiny Feet for over 12 years and the assistant Manager 10 years. 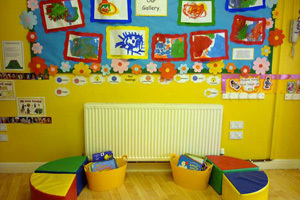 The week before your child is due to start Nursery we have a settling in period, this helps us and your child get the chance to become familiar to their new surroundings, routines, etc. This will be arranged by the manager a week before your child is due to start Nursery. Parents receive regular newsletters informing them of the type of activities etc their child will be involved in. Letters are also sent home to inform parents of any additional activities. Daily routines are displayed in each room. 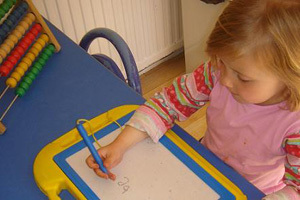 In the Baby Room a Daily Diary book is taken home each day and we write down their daily routine e.g. 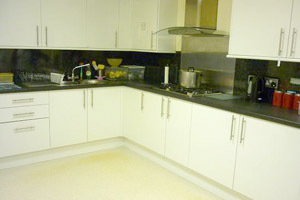 meals, sleeps, activities etc. Children who are potty training also have a toilet training book which helps us work in partnership with parents throughout this important time. We encourage all parents to have access to their child’s developmental files and often ask if parents would like to take them home.